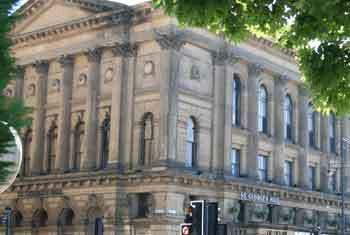 The project plans to restore the sandstone exterior of the landmark Bradford City Centre building and make other external and internal improvements to preserve heritage features and enhance the venue. Development funding of £79,000 has also been awarded to help Bradford Council progress their plans to apply for a full grant in round two of the process. As well as physical improvements to the building, the project will make archive materials about the history of the Hall more accessible and develop stronger links with the local community through an outreach and access programme. A permanent archive display will be created, including key events from the official opening by Queen Victoria in 1853 to the big rock and roll band concerts of the 1970s and 1980s. Past performances have included famous names such as Charles Dickens, Harold Houdini, Dr Livingstone, Sir Edward Elgar, Queen, David Bowie and Motorhead. orchestral subscription season and is renowned for its excellent acoustic qualities.